Woodland takes you through what recruiters look for and how to make you job application more bespoke for success! Recruiters like Woodland get flooded with CVs on a daily basis, and although we offer a personal and bespoke service to our clients and candidates, we make full use of our recruiter software to hone into the right people for the right job. So what is it exactly that we are looking for? KEYWORDS. Recruiters scan your resume to find experience and skills their clients have specified in the job description. So the best place to find these keywords are within the job description itself. Make a note of all the skills and experience that are required. When you are applying for a job online, adding keywords to your CV to make it more bespoke to the role you are applying for is extremely crucial. When you send a CV through an online application, or even via email, it is normally transferred to a recruiter’s Applicant Tracking System. This particular software, which can be custom built to suit a recruitment company’s needs, scans your CV for keywords that match those from the job description. 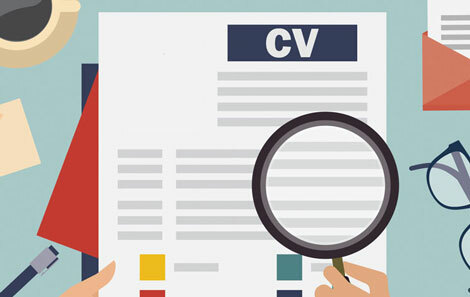 Should your CV be a great fit for the position, it will go higher up the recruiters list of relevant CVs, which is where you want to be. Unlike some recruiters, Woodland prides itself in offering a unique service to its clients and candidates, so the next steps are far more personable. Bear in mind that these types of systems are advanced enough to know if you have used the keyword in the correct context or if you have stacked your CV with a load of unnecessary keyword jargon. So what do you need to do next when you have unearthed all the relevant keywords? Job- related Skills: These are skills that are a prerequisite for you to have in order for you to carry out duties of the job comfortably, and from the very beginning. Again, the job description will contain most of the skills that you should be including here – e.g. steel erection experience. Adaptive Skills: These are skills which you have developed yourself throughout everyday life which you feel can you can utilise to your advantage in any given role. As mentioned, your CV should encompass all the job-related skills that you have that match those required in the job description. You should write them in as close to the top of your CV as possible, and they should be presented in your skills section. As mentioned earlier, any of those types of skills that one is expected to have picked up in past jobs should be added to your skills section where relevant, but remember to add details. So instead of saying “Microsoft Excel” why not write “Microsoft Excel – Proficient with pivot tables and macros.” Even if these transferable skills are not exactly relevant to the job, place them in your experience section to help a recruiter build a complete picture of your skills. Don’t forget to tailor you cover letter! Regardless of how bespoke your CV has been attributed to the role you are applying for, you still need to carry this level of customisation into your cover letter. In most cases recruiters will scan cover letters in the same vein that they will observe your CV. So again, add keywords from the job description where relevant. To conclude, tailoring your CV and cover letter will go a long way towards showing a recruiter that you are taking your application seriously, but more importantly presenting yourself as the person who is right for the job. Customise every CV you send in response to every job offer, especially the ones that you are suited for. Good luck!